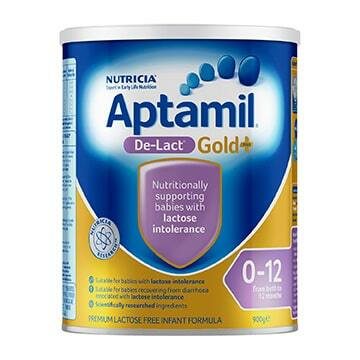 Aptamil® Gold+ De-Lact is a premium lactose free infant formula for infants from birth to 12 months. It is suitable for babies with lactose intolerance and for babies recovering from diarrhoea associated with lactose intolerance. Some infants may require a long-term lactose free routine so it is important to consult your healthcare professional for more information. It is not suitable for general use and should be used under medical supervision. Nucleotides: Uridine 5'- monophosphate, cytidine 5'- monophosphate, adenosine 5'- monophosphate, inosine 5'- monophosphate, guanosine 5'- monophosphate. 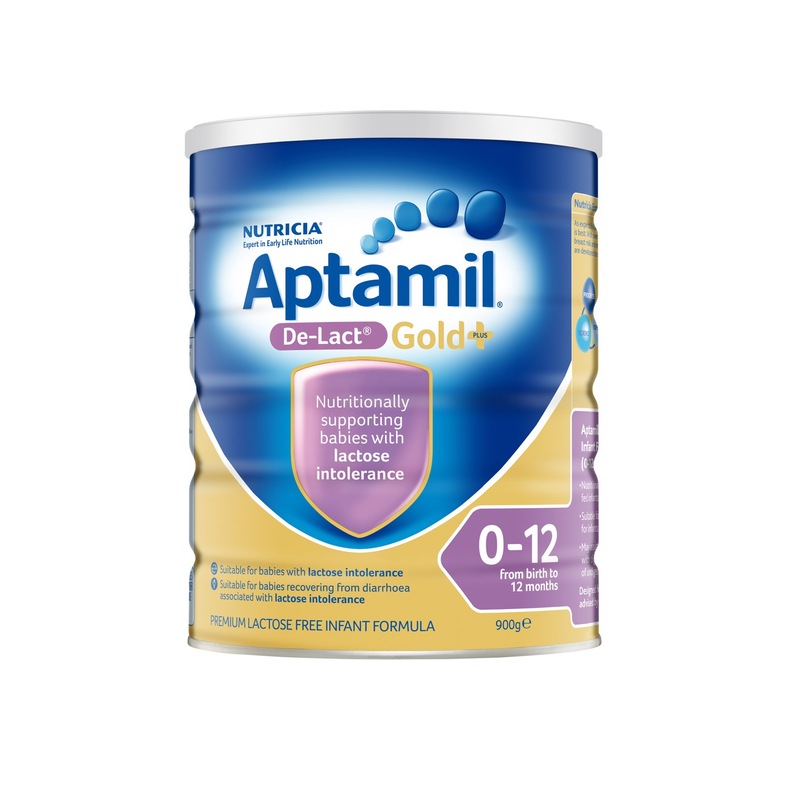 Aptamil Gold De-Lact Lactose Free Infant Formula is not suitable for general use and should be used under medical supervision. Glucose syrup solids, vegetable oils, calcium caseinate (from milk), fish oil, emulsifier (soy lecithin), cysteine, choline chloride, taurine, L-Tryptophan, inositol, L-Carnitine. Minerals: Potassium, phosphorus, sodium, calcium, chloride, magnesium, iron, zinc, copper, manganese, iodine, selenium. Minerals: Potassium, sodium, calcium, magnesium, iron, zinc, copper, manganese, iodine, selenium.